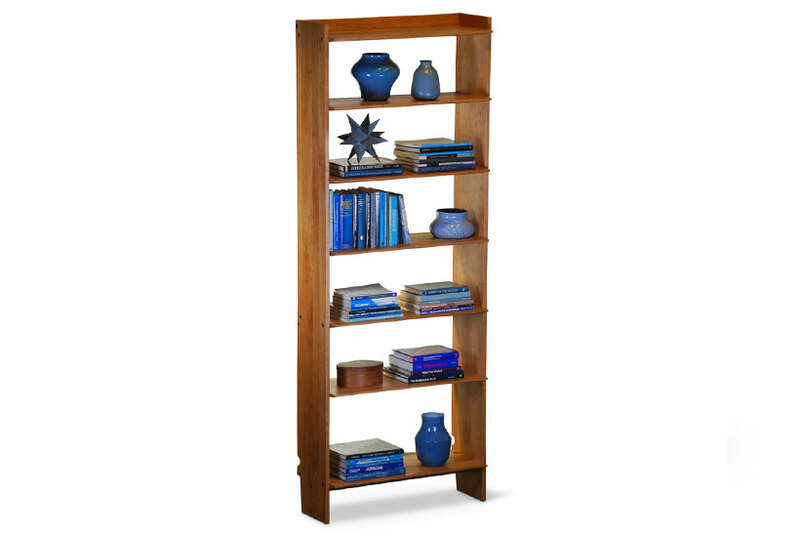 Our New Directions Single Bookcase is offered in several standard sizes. 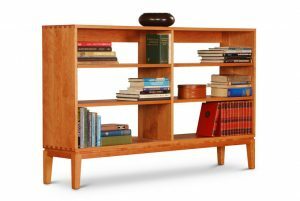 Standard widths of 30″, 36″ and 42″. All components of our New Directions Bookcases are made of solid hardwood having more than 20% more strength against bending than plywood. 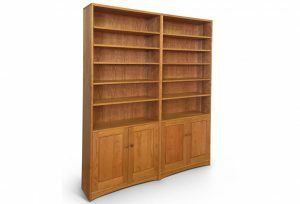 We offer our New Direction bookcases in wider constructions – see our Double New Directions Bookcase. 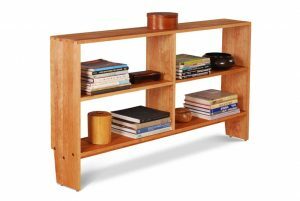 Using multiple vertical elements, connected by three fixed shelves per bay, entire wall can be built to fit nearly any space. 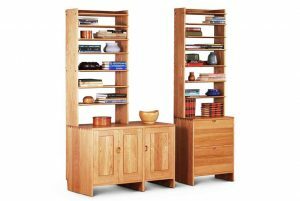 We offer custom sized vertical panels and shelves to create an exact fit to your space, as well as cabinets, desk modules and doors as additional customization options.